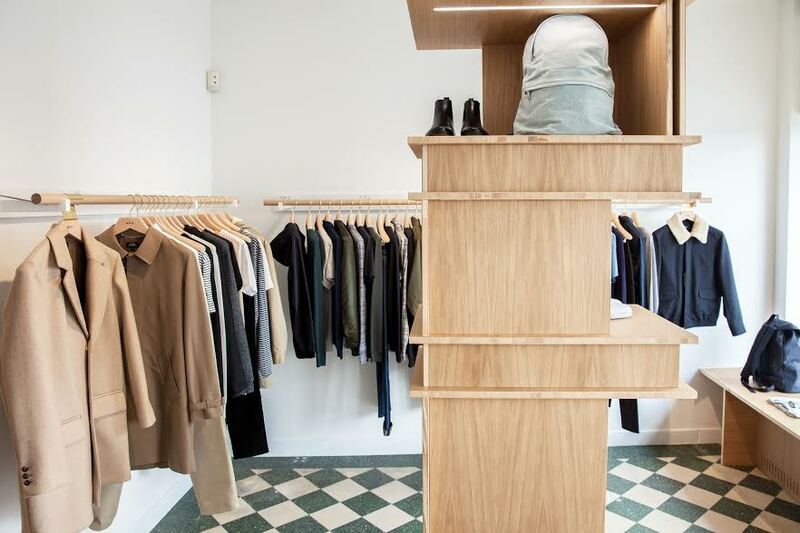 This Fall 2015 together with Laurent Deroo (architect), Jean Touitou renovated the A.P.C boutique in Antwerp. The space that before was divided in 3 subspaces is now one big open space. They designed 2 totems made piled boxes with each an opening on both sides, they were designed to separate de space and the collections. The eye-catcher of the shop are the fitting rooms, located in the middle of the store and symbolised as the heart of the boutique with a diamond shaped ceiling existing of mirrors! Collections are hanging against the walls men one side and women the other one,the clothings racks are the main connections between the totems and the center of the shop. The shop opened his doors back at 2003 and sells , the whole A.P.C. collection both for men and women , accessories included. Posted in HOME, menswear and tagged antwerp, APC, architecture, blogger, boutique, fashionnews, interiordesign, mensstyle, Menswear, Paris, re-opening. Bookmark the permalink.